The drug Bactroban is an ointment for local nasal administration. It has a pronounced antimicrobial effect. 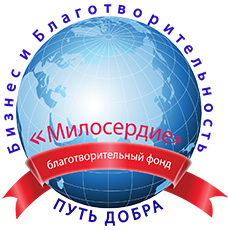 The active substance that has a therapeutic effect is mupirocin - an antibiotic intended for local therapy, which has a wide range of effects. Bactroban showed high activity in the treatment of diseases provoked by gold and epidermal staphylococcus, Escherichia coli, Hemophilus coli. Mupirocin has no effect on the pseudo-purulent wand. If Baktroban is applied strictly according to the instructions, then systemic absorption is extremely small. Penetration of mupirocin is enhanced if the ointment is applied to the tissue with the affected areas. Baktroban is available as an ointment for nasal use in aluminum tubes of 3 grams. Secondary cardboard packaging contains 1 tube and detailed instructions. 1 gram of nasal ointment Bactroban contains 20 mg of mupirocin as a calcium salt. Additional ingredients are white soft paraffin and software 649. Baktroban should be prescribed for infectious diseases of the nasal cavity, caused by strains of staphylococcus sensitive to mupirocin, as well as methicillin-resistant strains. Restrictions on the use of Bactroban nasal ointment apply to children under 12 years of age and to individuals with known hypersensitivity to the active component or additional elements. Only local use is recommended for treatment with Bactroban nasal ointment. It is important to thoroughly clean the nose before use. This is followed by a small amount of ointment placed in each nasal passage. After this, a short press on the wings of the nose is performed. You can make a light massage, which will allow the ointment to be distributed better inside the cavities. Do not allow the slightest nasal ointment into the eyes. After use the tube is carefully closed. Then hand hygiene with soap and running water is performed. The frequency of application of the ointment is twice a day. The usual course does not exceed 5 days, but if necessary, the doctor may suggest a different therapeutic regimen. If the drug is prescribed to an elderly person or patient with malfunctioning of the kidneys and liver, then usually dosage adjustment is not needed. Bactroban proved himself quite well. Sometimes patients may complain of individual allergic manifestations, such as nasal congestion, burning, redness of the skin of the nose, rhinitis, itching. Sometimes there may be a cough, headache, a small rash on the body, pharyngitis . Rarely develop disorders of taste. There have been isolated cases of the development of microbial resistance to Bactroban. Usually such a complication occurs with a very long course of treatment. For any, even minor, manifestations, it is required to consult a doctor who will decide on further treatment with Bactroban. You can not mix the drug with other components, even for nasal administration. Dilution of the ointment leads to a strong decrease in the activity of the active ingredient and may cause a loss of stability of mupirocin. It is important to avoid eye contact. In the presence of allergic manifestations, you should try to remove the ointment from the nasal passages as much as possible, immediately stop using Bactroban and consult a doctor. It is better to avoid prolonged use to reduce the possibility of developing resistance of the causative agent to mupirocin. When a child is born, Bactroban is taken in extreme cases. Data proving safety for a future newborn is not enough. With lactation data that the components of the ointment penetrate into breast milk, at the moment does not exist. The ointment is permitted in the treatment of children from 12 years of age. There is no information on the impact of Bactroban on the health of children under 12 years old. The drug has no effect on the reaction rate, so it can be used in people driving vehicles or other mechanisms that require increased concentration of attention. Cases of overdose were not recorded. If an overdose occurs, symptomatic treatment is recommended. By analogue Bactroban should include nasal ointment Mupirocin. There is a wide range of nasal drugs, the main component of which is an antibiotic, but the composition of such drugs varies significantly. The ointment is stored at a temperature below 25 degrees. Do not allow freezing. Term shelf life - 3 years. It is recommended to store Bactroban in the factory container away from children. 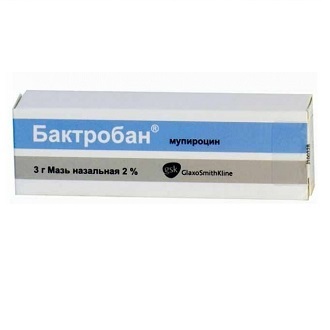 Bactroban ointment nasal 2%, tube 3 g - from 525 rubles.